More than 720 millions parts sold in 2018! WHY WE ARE SO CHEAP? 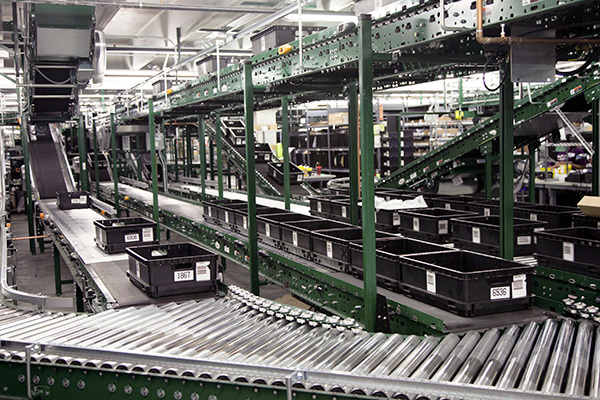 We offer more than 1M parts from world known manufacturers with unique automated order management system. We are focusing on JIT (just-in-time) deliveries, we started this company as a division of our electronics assembly. At the begin we do all the planning by hand. Today we use advanced computer models and machine learning to understand your needs that allows us to have smaller stock compared to the bigger players. After you place an order our system checks our local stock and tens of sourcing possibilities based on our partner's stocks. This will normally result in longer delivery dates and more errors. But not at us, our system merges all orders on daily basis and merge them into on huge order, which we can order cheaper and fill truck lorries every single day. We guarantee that you will get what you ordered as fast as the market allows. For any questions give us a call. We do not accept orders via phone, please do it via our website. For non-listed items send us an email.